Pattern Essai of 1894 by Tasset of France. This represents the very first known use of the Hammer & Sickle device. All research will tell you that this design was adopted by the Communist Soviets of Russia in 1917. I plan on writing a monograph on the Hammer & Sickle as used by various world governments. 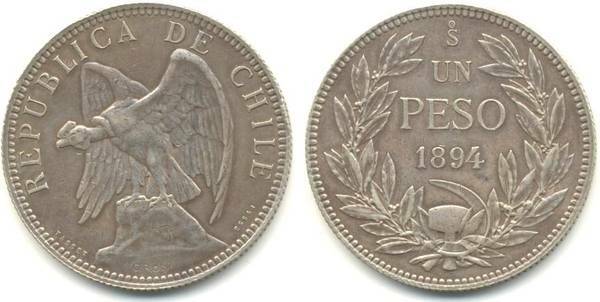 This pattern and subsequent coins of Chile from 1895 onwards proves the design already existed and is a perfect symbol to express the important elements of industry and agriculture in society. This pattern is not physically in the museum and is a borrowed photo of a v. rare pattern coin.